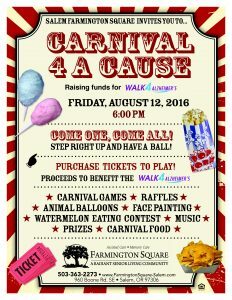 Salem Farmington Square invites you to our Carnival 4 A Cause, raising funds for the Walk 4 Alzheimer’s by the Alzheimer’s Network of Oregon! 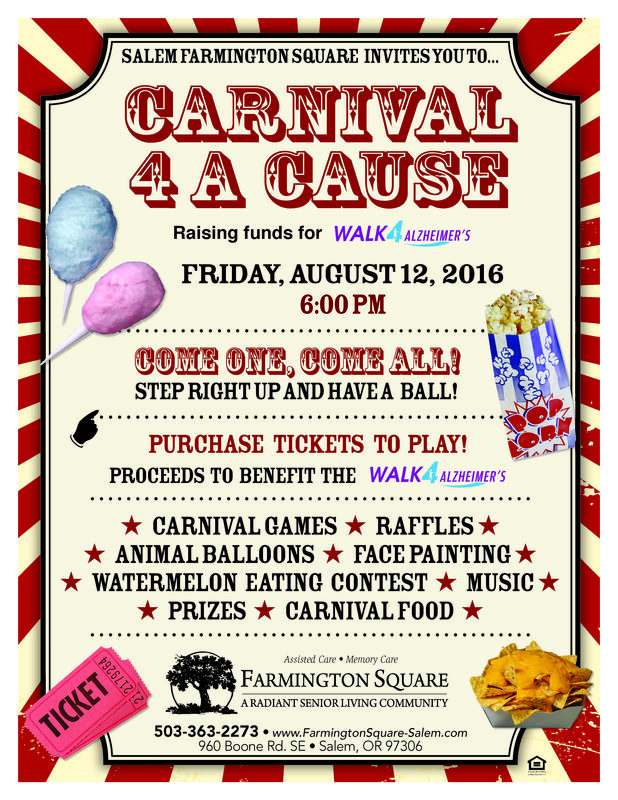 Join us on Friday, August 12 at 6:00 PM for carnival games, raffles, balloon animals, face painting, watermelon eating contest, music, carnival food and more! This is a free family-friendly event. Purchase tickets to play. Proceeds to benefit the Alzheimer’s Network.